A Year of Being Here: Jeffrey Harrison: "To a Snake"
have found your torn shed skins. that is most like yours. "To a Snake" by Jeffrey Harrison, from Into Daylight (Tupelo Press, 2014). © Jeffrey Harrison. Reprinted with permission of the poet. All rights reserved. 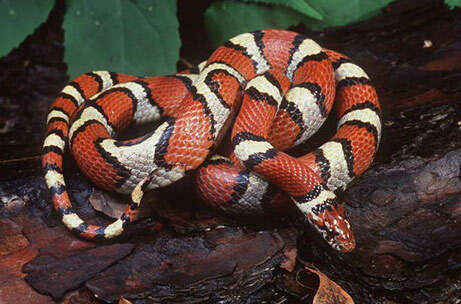 Art credit: Photograph of a milk snake by George Grall/NGS.